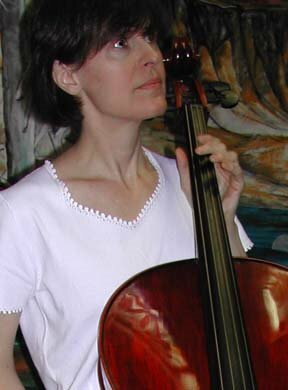 Five or so years ago Pat White wrote a post on Cello Chat in which she expounded on the importance of learning technique, apart from the music. Her analogy was the Technique Bank. That quote is frequently referred to as the discussion warrants, but the last time I searched for it I couldn't find the original post. I thought things were supposed to last forever in the Internet Age. I got serious about my study of the cello in June 2002. I know the exact date now because I'm looking at the first Lesson and Practice Log I designed to help me focus on my mission. What a wonderful resource these old logs are now. I set up this blog in January 2006 with the thought that it would be the next phase in my practice log. It hasn't exactly worked out that way, but that's another story for another time. On the one hand we have playing pieces. On the other hand we have working on technique. Most students love to play pieces, and most students hate to play technique. However, I want you to think of technique as a bank account. Let's say that every day you practice scales, arpeggios, etudes, bowing studies, etc. How high is your technique bank account? ...So you want to play this piece that has about 15 different techniques in it. No problem! Just go over to the technique bank account, make the needed withdrawals, and play the piece! What if you wanted to play a really neat piece, but you are someone who does not have a technique bank account? You will try and try and try to get things, and you will think you just have to keep trying the piece over and over and over, but the REAL problem is that when you need to go over and make a withdrawal from your technique bank account, it is empty. So the idea is to always work on boring technique because it gives you the ammunition to play exciting repertoire. Trying to learn a piece without the proper technique bank account is like trying to go up the down escalator. You CAN do it, but it is NOT the best way. I know I found that to be very inspirational. In a way, it was one of the signposts that sent me along my current path. Thanks, Pat.